Arcee, Arcee, Arcee shared this. True, I usually expect them to get worse. I assume you're talking about the web interface (Pump.io is soooo much more than that), but yes, there is a delete option, even in the web interface. It's kind of a downwards-facing arrow in the right side of the post. With some of the desktop clients you could even edit the post. Scorpio20, Scorpio20, Scorpio20, Scorpio20 shared this. "...to declare Diaspora a failure badly misreads not just the project but the nature of transformation: We are still in the Big Bang moments of the digital age, so charged with energy that its guiding forces cannot be simply tracked." #video #audiovisualpoetry #timelapse #ireland #dublin | audio-visual-poetry - cjube.com - your daily videos. enjoy. 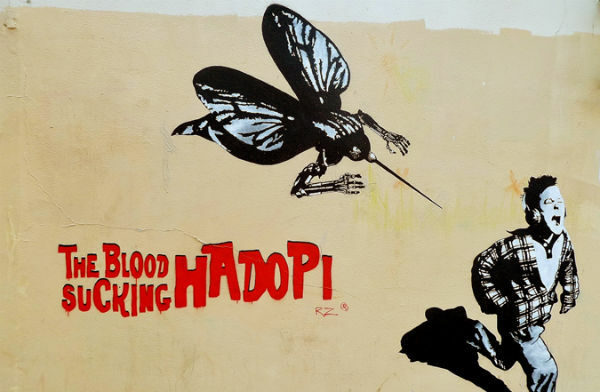 City workers in Paris have been instructed to remove political messages from street art this week, including several paintings protesting against local anti-piracy law 'Hadopi'. The irony of the situation is that an artist's work is being censored because it criticizes a law that's supposed to protect artists.